We'll be taking off Good Friday (March 30th) and Easter Sunday (April 1st) in order to reconnect with our families, our heritage and to recharge our batteries. It's official. NASA has announced that the beleaguered James Webb Space Telescope (JWST) is behind schedule again and will be delayed once more, this time until May 2020. The program is also likely to breach the $8.8Bln US ($11.31Bln CDN) cost cap, covering design development ($8Bln US) and operations (the remainder), which was imposed on the program by the US Congress after a series of earlier cost overruns in 2011. Breaching the cost cap would mean that Congress might need to reauthorize the program and allocate new funds. NASA said that it will release a revised cost estimate after a new launch window is determined in cooperation with the European Space Agency (ESA). The latest announcement, as outlined in the March 27th, 2018 NASA press release, "NASA's Webb Observatory Requires More Time for Testing and Evaluation; New Launch Window Under Review," blamed problems uncovered during the "final integration and test phases" which will require more time to successfully overcome. NASA will then provide its assessment in a report to Congress this summer. The original JWST contract, as described by the September 11th, 2002 New York Times (NYT) article "Next Generation Space Telescope Chosen to Peer into Past" was originally budgeted at $824.8Mln US ($1.061Bln CDN) and expected to launch in 2010. According to the article, the telescope would have "a segmented main mirror that will unfold to capture many times as much light" as the Hubble Space Telescope, which the JWST was originally designed to "compliment." The first large formal budget increase (after a series of incremental and largely unpublicized increases) was in 2005, following an "independent" review from JWST contractor Northrop Grumman and the NASA science instruments and support (ISIM) team for the JWST. According to the James Webb Space Telescope Project History website (part of the Space Telescope Science Institute), this first major review was a "financial shock" with costs rising from a pre-review estimate of about $2Bln US to $3.5Bln US ($4.5Bln CDN) and with the expected launch date pushed back to "no earlier than June 2013." By 2010 the project had taken up so much of the NASA budget, that it was impacting on other projects. The August 12th, 2010 Spaceflight Now post "NASA says JWST cost crunch impeding new missions" reported that "much of NASA's funding for astrophysics missions is being gobbled up by the James Webb Space Telescope," which is now the "the $5 billion successor to the Hubble Space Telescope." The article went on to state that, although NASA is committed to launching JWST "as close as possible to its June 2014 target" launch date, there will likely be further cost increases. According to the article, "getting JWST launched by June 2014 (the expected launch date at the time), or at least close to that date, will almost certainly require more money than predicted today." By the summer of 2010 the NASA compiled and publicly released "JWST Independent Comprehensive Review Panel Final Report" had concluded that 2015 was the earliest possible launch date, and even that would require a significant influx of additional funding. Canada's contributions to the JWST are listed on this March 25th, 2015 Canadian Space Agency (CSA) webpage. Looks like they need to update their launch dates. Graphic c/o CSA. The NYT reported on November 10th, 2010 that the "Telescope Is Behind Schedule and Over Budget, Panel Says." According to the post, "the James Webb Space Telescope, which already consumes 40 percent of the astrophysics budget at the National Aeronautics and Space Administration, will actually end up costing $6.2 billion to $6.8 billion" and was unable to meet its estimated 2015 launch date without further infusions of cash. By 2011, as outlined in the July 12th, 2011 Space.com article "Scientists Condemn Plans to Scrap Hubble Telescope Successor" the JWST was expected to launch sometime in 2018, until the "House Appropriations subcommittee that oversees NASA proposed a 2012 spending bill last week that would terminate the James Webb Space Telescope (JWST) as part of wider-reaching cutbacks that would reset the agency's budget at pre-2008 levels." After much political infighting, the US Congress imposed the $8.8Bln cap on overall JWST costs. Oddly enough, the Congressional price cap did have at least some effect on the JWST. By 2016, and as outlined in the November 28th, 2016 post, "An ESA Event, SEDS Objects, the CSA Budget Shrinks, the JWST & the Downsview Aerospace Hub," there was at least some hope that the JWST might be "on track, on budget and on schedule for launch in October 2018." Where this ends is anyone's guess at this point. Just don't expect a reasoned discussion of the cost-plus procurement processes used by NASA to fund the program. That's the real cause of those endemic JWST and Space Launch System (SLS) cost overruns. It's also the sort of a discussion would interfere with the take home pay of far too many NASA scientists and engineers. 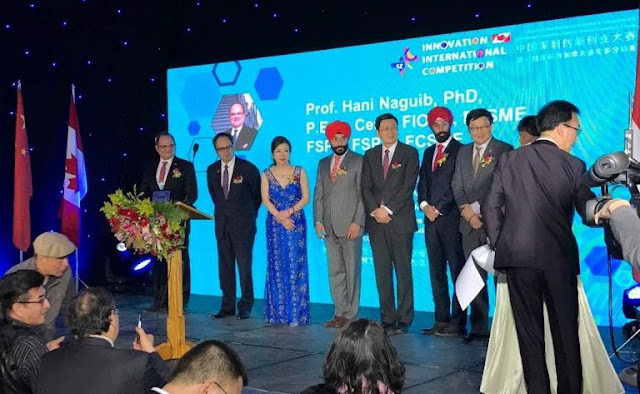 On March 24th, the second annual China (Shenzhen) Innovation & Entrepreneurship International Competition, Toronto Division (aka Sci Innovation Competition), was held at the MaRS Discovery District in Toronto, ON. A quiet weekend with a few close friends. As outlined in the March 24th, 2017 University of Toronto (UofT) Department of Materials Science & Engineering (MSE) post, "International innovation competition comes to Toronto," VIPs participating in the 2017 edition of the Sci Innovation Competition included (from left to right) UofT MSE professor Hani Naguib; deputy Toronto mayor & city councilor Denzil Minnan-Wong; Canada Confederation of Shenzhen Associations chairperson Jenny Qi; Federal minister of innovation, science and economic development (ISED) Navdeep Bains; Chinese Deputy Consul General Xu Wei; and Federal MPs Raj Grewal and Geng Tan. As outlined in the March 23rd, 2018 Electronics Products and Technology post, "Canada’s 20 top new innovators face off," 2018 judges included "a diverse group of business leaders, scientists, academics, and renowned experts in technology and innovation." The list also included more than a few money people such as Don Wright, the president of the Winnington Capital Group and the director of MaRS Innovation Inc. and Yuri Navarro, the CEO and executive director at the National Angel Capital Organization (NACO). Navarro is also the chief of staff for the Ontario minister of economic development and trade. Photo c/o Hao Shi/ UofT. Twenty groups of Canadian innovators highlighted Toronto’s vibrant tech startup ecosystem and helped to forge stronger business links with China. Given our current "America First" internationally focused "art of the deal" environment, it always pays to cultivate options. Begun by the Municipality of Shenzhen, China (a global tech hub), the Sci Innovation Competition is sponsored globally by local governments in Toronto, Silicon Valley, Sydney, Tokyo, Boston, Tel Aviv, London, Stockholm and Berlin. At the 2018 Toronto competition, the Canadian finalists, winnowed from a field of 208 participants, will pitch their ideas to a panel of twenty-seven judges comprised of business leaders, scientists, academics and renowned experts. First, second, and third place prizes will be awarded from a venture capital pool of RMB ¥20.9Bln ($4Bln CDN) setup by thirty-four institutions to finance the winning teams. Of the twenty finalists, ten skilled Canadian winners will then head to Shenzhen to take part in the finals in April 2018. The competition features projects from five industries; IT, biotechnology and life sciences, electronic science and technology, advanced manufacturing and materials and energy and offers prizes totaling RMB ¥10.91Mln ($2.09Mln CDN). ForceFilm - A Toronto startup that has developed an addon for surgical robots which gives them a sense of touch. ForceFilm’s technology would enable greater surgical precision, reducing risks. ForceFilm is currently seeking approval for its technology from Health Canada. Sapling Robotics Beach Cleaning Rover - A group of engineers from the University of Toronto and the University of Buffalo developing an autonomous, zero-emission, electric beach-cleaning robot. The rover uses self-driving technology and machine vision to operate unsupervised alongside beachgoers at any time, day or night. Sapling’s goal is to replace the diesel vehicles currently used in beach cleaning, eliminating their harmful carbon emissions, loud noises and terrible smells. The team is currently developing a prototype and seeking a partner (i.e. a hotel or local municipality) for a pilot program over the summer. Qsun Sun Safety Solution - This team has created an AI-powered wearable and companion app that provides a solution to sun-caused skin damage. The device monitors ultraviolet rays, analyzing a user’s exposure to sun in real-time, notifying them when on the verge of a sunburn. The device uses an algorithm that combines the user’s current sun exposure with their skin type, environmental situation and sun safety habits. The device also provides users with tailored recommendations to manage vitamin D levels based on their sun exposure and diet. After a recent sucessful crowdfunding effort on Kickstarter, the team plans to launch a second-generation device this summer. GoFind AI - A California-based startup developing artificial intelligence for shopping. GoFind AI is an instant fashion discovery app that lets people upload images or screenshots to find out where to buy the products they are looking for. The search engine is driven by a learning-trained machine that recognizes textures, colours and shapes and gives users access to 100 million products from more than 1,000 online shops. Along with locating the exact product, the app also brings up similar items at varying price points. The team is working on expanding the search engine to include furniture, houses and cars. The Sci Innovation Competition provides a welcome new source of capital for fostering innovative Canadian tech startups as well as strengthening Canada’s ties with China. In the face of a possible US/China trade war and increasing trade threats and extortion from the Trump Administration, Canada must forge stronger ties with new allies if it is to survive and thrive in the coming years. The 2018 omnibus budget passed by both the US Congress and the US Senate this week will allocate NASA $20.7Bln US ($26Bln CDN), significantly more than either the Trump Administration or NASA had originally requested. ... gives SLS (the Space Launch System a space shuttle-derived heavy-lift expendable launch vehicle, which is part of NASA's deep space exploration plans) and Orion (the crew capsule currently under development by NASA for launch on the SLS) more than $3Bln US ($3.88Bln CDN), funds all the Earth science and education projects the Trump administration wished to cut, as well as WFIRST (the Wide Field Infrared Survey Telescope), which the Trump administration wants to cancel because of cost overruns. Overall, the new budget provides $1.083Bln US ($1.4Bln CDN) more than what NASA received for FY2017 and $1.644Bln US ($2.13Bln CDN) more than the Trump Administration’s FY2018 request. Yesterday, we saw the fruit of that deal with the release of the Consolidated Appropriations Act of 2018, a bill that would fund nearly all government agencies through the remainder of this fiscal year (which ends September 30). NASA—and science in general—did very well in this legislation. Congress thoroughly rejected every major cut proposed to NASA and other science agencies by the Trump Administration, often providing them with funding increases instead. This is arguably the best budget for national science investment in a decade. Oddly enough, the increased US science funding follows closely on the heels of significant increases for Canadian science funding in the 2018 Canadian Federal budget. As outlined in the March 1st, 2018 post, ""Patent Boxes," our Canadian Space Agency and the Lack of Real Innovation in the 2018 Federal Budget," the 2018 budget allocated "$3.8Bln CDN of new funding spread over the next five years to a range of science and academic programs." The current NASA budget is broadly equivalent to the annual Canadian military budget, but higher than Canadian science focused funding. The Canadian Space Agency (CSA) budget hovers around $350-400Mln CDN annually. What Happens After the Failure of the Space Advisory Board? The Space Advisory Board (SAB), renewed in October 2016 by the Federal government under Prime Minister Justin Trudeau in order to "advise the Government of Canada on long-term objectives for space and to engage with Canadians," isn't quite dead yet, but it's days are certainly numbered. 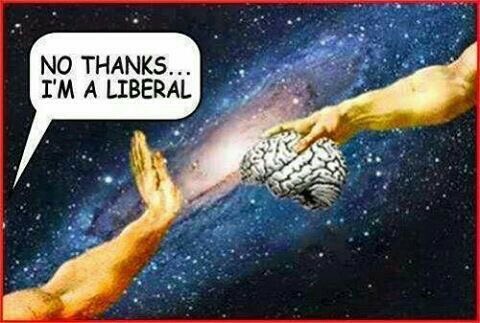 With all the billions of dollars flowing to scientists in the 2018 Federal budget, as outlined in the February 27th, 2018 University Affairs post, "Budget 2018 gives a major boost to fundamental research in Canada," you'd think that the Trudeau Liberals could have allocated a few tens of millions for the Canadian Space Agency (CSA) or said something nice about space in order to keep the SAB from looking incompetent. The reasons for rejecting any new funding for the CSA go back to 2012 and were outlined initially in the December 5th, 2012 post, "What the Space Volume of the Aerospace Review Actually Says." They derived from the 2012 David Emerson led Aerospace Review, which advocated the removal of much of the CSA's independence because of perceived fiscal irregularities. Emerson enjoyed broad bipartisan support when it was adapted as public policy by the Federal government under then Prime Minister Stephen Harper. Graphic c/o YouTube. The Trudeau government has failed to respond in the February 28th, 2018 Federal Budget or anywhere else, to the documentation generated by the SAB during the various round-table discussions held between April and May 2017, or to the final report, released on August 18th, 2017 under the title "Consultations on Canada’s future in space: What we heard." As outlined in articles such as the March 8th, 2018 post, "Space Advisory Board Chair Admits Disappointment over Budget but Promises to Continue to Support Space Sector," and the March 13th, 2018 Globe and Mail post, "Lost in space: Why Canada’s diminishing role in the heavens is a problem," the response from the space community has been so bad that even the members of the SAB have come out against the governments lack of response to their report. Oddly enough the final report requested only that space be dedicated as a "national strategic asset," and that the SAB be allowed to "remain engaged" with "stakeholders" to finish a report which could actually draw conclusions and recommend action. At this point, neither of those things are going to happen. A scanned copy of the lower section of page three from the September 13th, 2015 Toronto Star. 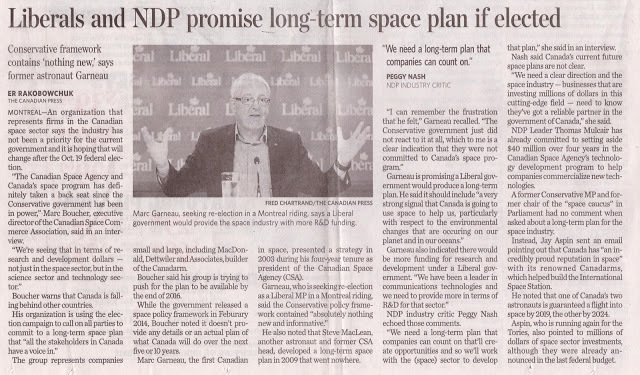 As outlined in the September 15th, 2015 post, "Part 1: Abandoning the Emerson Aerospace Review?," both the Federal Liberal party and the NDP promised to role back the Emerson Aerospace Review in favor of new funding and a revised "long-term space plan," during the 2015 Federal election. But once the Liberals gained power, the party changed its mind. David Emerson, the chair of the 2012 review, began his political career in 2004 as the Liberal candidate in Vancouver Kingsway before crossing the floor to join the governing Federal Conservative party in 2006, and possessed a fair understanding of the political process. That knowledge goes a long way towards explaining why the 2012 Aerospace Review is influential to this day. Scan c/o Toronto Star. So what will happen? That's easy enough to guess. The SAB will fade away, if only because they have lost the support of both the space community and the Federal government. The SAB's supporters in the space community will come to the perfectly sensible conclusion that the SAB is unable to generate funding and support for their personal projects, or for the larger industry, and they'll move on. The Federal government will conclude that the SAB cannot be reasonably expected to keep their mouths shut and support the government in the hope of receiving some political payback at some future date, and will also move on. The Feds will have a particularity strong case for coming to this conclusion, given the recent public comments from many of the SAB members. The CSA will do just fine by focusing on it's core mission to support the International Space Station (ISS), whatever may follow on after the ISS, the upcoming RADARSAT Constellation mission (RCM) and the Canadian astronaut corps. As outlined in the December 1st, 2017 post, "Deep Space Gateway "Key Part of Exploration Roadmap," the Deep Space Gateway (DSG), now known as the Lunar Orbital Platform-Gateway (LOP-G) is one of those international projects the CSA would be joining irrespective of any conclusions coming out of the SAB. As some point, likely after the current NASA budget is passed and assessed, more money may become available for further Canadian contributions to the LOP-G. As outlined in the March 22nd, 2018 Space Policy Online post, "NASA Budget to Soar Over $20 Billion in Final FY2018 Appropriations," the signs are currently positive. And, to be fair, none of the funding for the LOP-G or any of the other core CSA missions was ever dependent on input from the SAB. The business community will note that private corporations with ideas requiring space assets to create programs useful to Canadians, will still have a fair shot at funding, although that funding will be paid directly rather than provided through the CSA. As outlined in the February 28th, 2018 post, ""Big Winners" in Tuesday's Federal Budget," the Federal government has put aside $100Mln CDN in the 2018 Federal budget for "firms planning to develop constellations of low Earth orbiting (LEO) satellites intended to bring internet services to rural parts of the country." What better way to use space assets to solve domestic problems and help tie the country together. Of course, the business community will also abandon the communal process favored by the SAB in favor of more traditional, individual sales pitches direct to government and important "stakeholders." The academic community, which is presently bolstering the SAB (chair Lucy Stojak is also a Director of the HEC Montréal Summer School on Management of Creativity in an Innovation Society and active in the International Space University) and contributes through a variety of partners (including advocacy organizations with members currently holding seats on the SAB, such as the Canadian Space Commerce Association and the US based Planetary Society), will note the lack of funding for space specific scientific research and the billions of dollars of new funding available through other government departments, such as the National Research Council (NRC). They will also move on to greener pastures. As outlined in the February 27th, 2018 Toronto Star post, "Budget boosts science research, grant funding," the 2018 Canadian Federal budget committed "$925Mln CDN over the next five years for the three main research granting councils," which represents "a 25-per-cent increase in “fundamental research” over existing levels by 2021." In addition, "the budget proposed $275Mln CDN over the same period for “interdisciplinary . . . and higher-risk” research, to be administered by the Social Sciences and Humanities Research Council (SSHRC)." Not that there is anything wrong with the budget increase in other areas. All things considered, it could certainly be worse. But overall. the space industry in Canada will continue along pretty much as it has since 2012, when the David Emerson led Aerospace Review was first released. Perhaps the true assessment of what the SAB brought to the table is to note that, without it, nothing much has changed. Maybe we'll do a better job next time. As covered many times in this blog, our largest space and aerospace companies tend to go bankrupt and get picked over by others (Toronto, ON based Avro Canada and Brampton, ON based Spar Aerospace, for example), or reincorporate as US based firms in order to take advantage of the American market (Richmond, BC based MacDonald Dettwiler and Associates) or they get purchased by large, American based corporations (Cambridge, ON based COM DEV International). The front cover of the March 2018 Impact Report on "Measuring Canada's Scaleup Potential" along with an estimate of companies per one million population in Canada, the US, the UK, Germany and France. Canada's ability to to create companies is average when compared to the other countries on the list. Graphic c/o Impact Group. They don't generally stay operational or remain Canadian. This is usually perceived as not being a good thing, but the situation persists and not just in aerospace (remember Nortel? Or Research in Motion?). For example, as noted in the March 19th, 2018 More Commercial Space News post, "UrtheCast will now report Q4 2017 results & host the 2017 year-end investor conference call on April 2nd, 2018," Vancouver, BC Urthecast is currently in the midst of a fiscal crisis caused by the inability to close previously announced financing for its UrtheDaily™ Constellation. The extent of this current crisis might not become clear for another two weeks since the firm has postponed it's most recent public investor conference call until then. Ottawa, ON based Telesat Canada could also be preparing for a crisis of it's own. As outlined in the March 16th, 2018 post, "Loral warns of possible Telesat legal battle, Xtar restructuring," the New York, NY based Loral Space & Communications (which holds the majority of Telesat shares) is planning to move ahead with a "strategic transaction" involving Telesat, which could spark a legal battle with Telesat's only other shareholder, the Montreal, PQ based Public Sector Pension Investment Board (which owns more of the valuable voting shares). So what's the problem? According to Charles Plant, the senior fellow with the Toronto, ON based Impact Centre at the University of Toronto, Canada might just be good at starting companies, but not growing them. A quick reminder that Canada has been obsessing over research and development initiatives for a very long time. As outlined in the April 7th, 1967 Globe and Mail post, "Ottawa hopes to spur research and development through five programs," Canadian industry was "being wooed into research and development as never before," over fifty years ago and not a lot has changed since then. Original graphic c/o Globe and Mail. As outlined in the March 19th, 2018 Impact Centre post, "Measuring Canada’s Scaleup Potential," Plant and his colleagues at the Impact Centre have put together a useful, eighteen page study, under the same title, which attempts to measure Canada’s startup and scaleup rate and compare that to other countries around the world. According to the Impact Centre, "there seems to be a shift away from focusing on startups to focusing on those companies in Canada that are scaling. This appears to have been predicated on the premise that Canada has become good at starting companies but is challenged at scaling them to world-class size. " We have a higher startup rate than Germany and France but trail the UK on the same metric. We lead all European jurisdictions in terms of scaling rates. We report a rate of startup and scaleup that is dramatically lower than the US and, in particular, Massachusetts, California and New York. We have lower rates of both startup and scaleup than Pennsylvania, Illinois, and Georgia. Based on additional analysis of revenue and employee growth and financing in public or private markets, we identified businesses with the potential to grow to world-class size, but only if they maintain current growth trajectories. In total, we identified 50 Canadian companies with over $10Mln CDN of invested capital that were growing at more than 20% a year. This represents 12% of all of the 423 Canadian companies above $10 M in capital. The full report is available online at http://www.impactcentre.ca/wp-content/uploads/2018/03/Measuring-Canadas-Scaleup-Pontential.pdf and its well worth taking a look at. The executive summary, for those of us who are too lazy to read the full report, is available online at http://www.impactcentre.ca/research/measuring-canadas-scaleup-potential/. In recent weeks, two space firms have made public their plans for deploying satellite servicing spacecraft within the next two years. These plans highlight another emerging market for the burgeoning commercial space industry. While one of these firms is UK based and the other US based, Canada has a connection with a third player, albeit a flimsy one. On March 12th, 2018 the London, UK-based Effective Space Solutions (ESS) announced a $100Mln USD ($131Mln CDN) deal with an unnamed customer to dispatch two spacecraft to service two orbiting communications satellites in 2020. As outlined in the March 12th, 2018 Space News post, "Effective Space reserves ILS Proton rideshare for two satellite servicers," the spacecraft, dubbed ‘space drones,’ will be launched into geostationary orbit on a Russian Proton Breeze M rocket where they will attach themselves to the two satellites. The space drones, using their on-board fuel, will then take over from the communication satellites near-empty on-board propulsion, enabling them to remain in orbit and extend their lives. The ESS Space Drone is a 400 kilogram spacecraft (measuring 1m x 1m x 1.25m) that uses a universal docking connector to attach itself to a host satellite and then engages its on-board electrical propulsion to take over the station keeping and attitude control maneuvers from the host’s propulsion system. In this role, the space drone’s duties can include station-keeping, relocation, deorbiting, orbit correction and inclination correction. ESS also has other roles in mind for space drones. 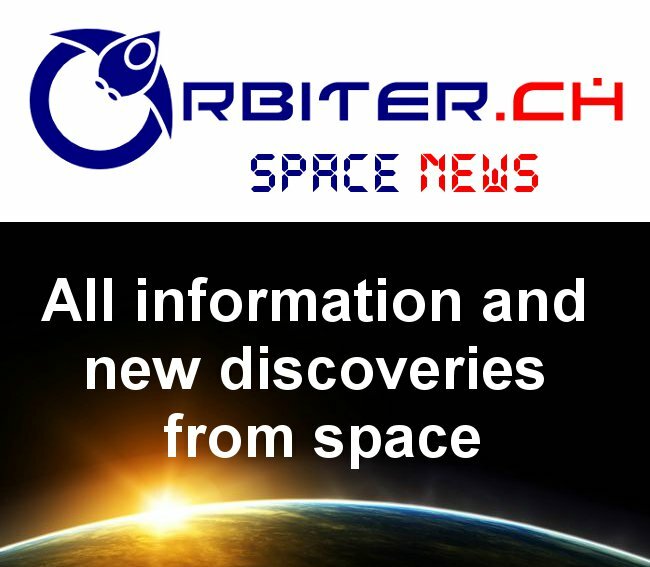 After the launch of the first two space drones in 2020, the company intends to launch up to six new drones annually, servicing low Earth orbit satellite constellations, cleanup of space debris and performing other logistical services. On March 13th, just a day later, the SpaceLogistics subsidiary of Dulles, VA based Orbital ATK, announced at the Satellite 2018 conference in Washington, DC that its satellite servicing spacecraft, called Mission Extension Vehicle 1 (MEV1), had just passed a critical design review and will be able to launch by the end of 2018. As outlined in the March 14th, 2018 Space News post, "Orbital ATK unveils new version of satellite servicing vehicle" as part of a deal signed with satellite communications giant Intelsat, the MEV1 will attach itself to Intelsat-901, a communications satellite in geostationary orbit for nearly 15 years that is running out of fuel. The MEV1 will use its six-foot-long extender to connect to Intelsat-901’s liquid apogee engine nozzle, a standard component, to refuel the satellite. Intelsat has also agreed to lease MEV2, expected to be completed by mid-2020. Intelsat is leasing MEV 1 for five years, with an option for two more years. With an expected lifespan of 15+ years, MEV 1 can detach itself from Intelsat-901 after the initial five-year lease and service other customers for ten or more years due to its large store of fuel. In geostationary orbit, this would comprise a large market of military and spy satellites. Orbital ATK intends to build five MEVs. Also revealed at the same conference was the company’s next-generation satellite-servicing concept, dubbed Mission Extension Pods (MEPs). It envisions a spacecraft carrying ten to twelve fuel pods that can be placed on aging or failing satellites with a robotic arm. Each pod could then move its host into a new orbital position or provide it more fuel to extend its life. After the mother spacecraft dispenses all of its pods, it would then become an MEV able to attach itself to other satellites for up to fifteen years. Orbital ATK aims to deploy MEPs by 2021. Finally, San Francisco based Maxar Technologies (formerly Macdonald Dettweiler and Associates of Richmond, BC), via its Space Systems Loral (SSL) subsidiary, has entered into a partnership with the US Defense Advanced Research Projects Agency (DARPA) and a second partnership with NASA (via its Restore-L program), to develop a robotic servicing spacecraft for geosynchronous satellites. These partnerships will likely be the slowest moving, despite the current Restore-L tentative 2020 launch date, because of the government connections through DARPA and NASA, and the paperwork and oversight those connections engender. Of course, they are also likely to be the most lucrative, because of the cost-plus government contracts provided to SSL in order to fulfill the contracts. Those partnerships and contracts spurred Orbital ATK to sue DARPA in 2017 on the grounds that the US government was unfairly competing with the private sector for the same service. But as outlined in the July 17th, 2017 post, "Orbital ATK, DARPA, MacDonald Dettwiler, DigitalGlobe & Unleashing the Lobbyists," that lawsuit was ultimately dismissed even though, as can be seen here, there were and continue to be, at least two private companies (ESS and Orbital ATK) currently competing against the DARPA and NASA funded projects. And while, as outlined in the December 16th, 2016 post, "MDA says No Sale of Canadarm Technology to the US Government in NASA RESTORE-L, DARPA RSGS or "Any Other" Project," this blog finds that claim dubious, so we concede a very slight Canadian connection with Maxar. Of course, none of the benefits from SSL or from any other on-orbit satellite servicing program currently gearing up, are likely to benefit Canadian taxpayers, no matter what the Canadian Space Agency (CSA) might have promised as recently as 2013. While on-orbit servicing of satellites is expected to be another lucrative market that can foster the growth of the commercial space industry, it also appears to be another market where Canada has fallen behind. While US and UK firms prepare to service the heavens, Canada seems ready to miss the boat. According to leading Canadian full service intellectual property law firm Bereskin and Parr LLP, at least one portion of Canada's 2018 Federal budget outlined changes to Canada's intellectual property (IP) laws intended to help Canada’s innovative companies utilize IP assets to help grow their company. As outlined in the March 9th, 2018 Lexology post, "A Radical New Way of Thinking about our Innovation Economy: Canada’s IP Strategy and the 2018 Budget," last year’s 2017 budget included reference to a Canadian National IP strategy, in order to facilitate an "innovation ecosystem" where commercialized IP (including patents, trademarks, copyrights, industrial designs, trade secrets and other items) assist Canadian firms to grow to scale. A pilot patent collective ($30Mln) or "sovereign patent fund," which, as outlined in the May 19th , 2017 Globe and Mail post, "Canada needs an innovative intellectual property strategy," will address the calls from "innovation experts who understand the critical role of IP in a 21st-century economy." The creation of IP education and legal clinics ($21.5Mln) for "clinical legal education to both train and grow the pool of IP expertise, while at the same time providing much needed IP legal services to early stage companies." The development of IP tools ($33.8Mln) to track the pool of IP available at Canadian research institutions and through funding initiatives, which can be taken over and commercialized by Canadian firms. As outlined in the March 1st, 2018 post, "'Patent Boxes, our Canadian Space Agency and the Lack of Real Innovation in the 2018 Federal Budget," IP management is a critical component of growing Canada's innovation economy. It's good to know that others feel the same. At least some of this message seems to be getting through to the Federal Liberal party. In the past, this blog has discussed media as it relates to science and the space industry, in articles such as the November 17th, 2013 post, "The 2013 Canadian Space Summit Media Panel," and the February 4th, 2013 post, "Hiding Science Behind Academic Journal Paywalls." We've also applauded, as outlined in the November 8th, 2015 post, "A New Era for Canadian Space or More of the Same?," when then newly minted Innovation Minister Navdeep Bains fulfilled a Liberal party campaign promise to allow government scientists and experts to comment on their work to the media and to the public, without interference from their political masters. And we've complained loudly when, as outlined in the September 29th, 2014 post, "No Visas for Russian and Chinese Space Delegates to Attend IAC 2014," the Federal Conservative government under Prime Minister Stephen Harper refused access to senior members of both the Chinese and Russian delegation to attend the 65th International Astronautical Congress (IAC2015), which was held in Toronto, ON from September 29th to October 3rd, 2014. But the recent refusal to allow independent Canadian journalist Lauren Southern to enter the United Kingdom (UK) to report on UK immigration and the domestic political situation is problematic to all journalists, everywhere. Lauren Cherie Southern (born June 16th, 1995) is a Canadian far-right political activist, Internet personality, and journalist associated with the alt-right. 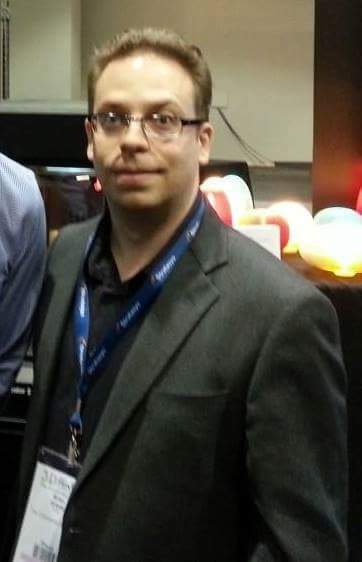 In 2015, Southern ran as a Libertarian Party candidate in the Canadian federal election. She worked for The Rebel Media until March 2017. Southern continues to work independently and publishes videos on YouTube. The Patreon account of former Rebel Media personality Lauren Southern was banned late last week by the subscription-based crowdfunding website, following a lobbying campaign by the UK based anti-extremism charity HOPE not hate. “Yes, HOPE not hate lobbied Patreon directly, and they removed everyone connected to Defend Europe (a European based identitarian focused political organization which Southern reported on and was active in, but which was also actively at odds with the viewpoints promoted by HOPE not hate) from their service,” Hope not hate director of communications Nick Ryan told CANADALAND in an email. A Patreon representative informed Southern by email last Thursday that her account was being banned because some of her actions were “likely to cause loss of life” but didn’t elaborate further on any specific actions that prompted the ban. Patreon is a popular crowdfunding platform used by independent media creators, including CANADALAND (and the Commercial Space blog), that allows “patrons” to pledge support via recurring payments. Curiously enough, HOPE not hate also has other aspects to its agenda. As outlined on its website, the organization grew out as a response to the gains made by the British National Party (BNP) in the middle 2000's. HOPE not hate opposed the BNP and eventually took credit for its collapse. So Southern and HOPE not hate both had agendas and viewpoints to disseminate. Southern simply preferred to state her biases in her editorials, unlike others, who preferred campaigns designed to "defund" and "de-platform" their opponents. Much of the rest of our current media landscape also comes with an attached agenda. This includes traditional media outlets such as the CBC, and more alternative outlets such as the Vancouver BC based Universe Today (a competitor to this blog, since we both cover many of the same topics) and Toronto, ON based Rebel Media (where Southern used to work). For example, its interesting to note how Kent, WA based Blue Origin owner Jeff Bezos gets such wonderful coverage of his rocket company from the Washington DC based Washington Post, which Bezos also owns. Even Elon Musk might just be looking to get into the media business. As outlined in the March 14th, 2018 Gizmodo post, "Elon Musk Starts Media Business, Possibly Named 'Thud!,' Musk has certainly made suggestions in that area. In essence, there is nothing wrong with setting up your own media outlet, or bringing a viewpoint to your posts. The problem isn't even when other organizations (like HOPE not hate) with contrary viewpoints seek to compete in the marketplace of ideas in order to advocate and effect change. The problem occurs when governments, often in response to lobbying efforts from organizations like HOPE not hate, take it upon themselves to censor people like Southern. When that happens we all need to take note and object. Otherwise, the freedom to research, assess, develop independent conclusions then speak and subject those conclusions to peer review via publication and exposure to a wider audience, is in jeopardy. This is what seems to have happened to Lauren Southern. As journalists and commentators, we need to point this out and object to it, in order to prevent those same surreptitious actions from secretly hanging over the heads of each and every one of us. In recent weeks, as the Trump Administration sparked fears of a global trade war by imposing new steel and aluminum tariffs, then exempting Canada and Mexico only on the condition of a “good” outcome on current North American Free Trade (NAFTA) negotiations, the need for growing Canada’s own tech sector has never been more apparent. Ironically, two such new firms are spin-offs of a Canadian tech firm that has all but shed its Canadian identity. The first firm, Insight Medbotics Canada Corporation (IMCC) was formed by the Centre for Surgical Invention and Innovation (CSII), a federally-funded Canadian Centre of Excellence working in partnership with Richmond, BC based MDA Corp (a subsidiary of San Francisco, CA based Maxar Technologies) and the Canadian Space Agency (CSA). IMCC’s goal is to launch a new generation of intelligent robotics which build on Canadian technology used in the Canadarm, Canadarm 2 and Dextre robots. Its first device, the Image Guided Automated Robotics-Breast (IGAR-Breast) imager, is designed for detection and treatment of breast cancer in it’s earliest stages. IGAR integrates with magnetic resonance imaging systems, enabling a radiologist to select a target area from a patient’s scan and remove cancerous tissue with millimeter accuracy. In addition to the technology’s obvious applications in space, IGAR will also provide patients in remote communities greater access to advanced healthcare. IMCC is led by Paul Cooper, who is also listed as being the vice president of strategic development at MDA. Cooper, in addition to holding a Ph.D. in Computer Science, is a former entrepreneur and university professor. He sits on the board of Family Outreach and Response, a community mental health serves organization in Toronto, ON. Incorporated in Hamilton, ON in 2016, IMCC is working to establish its manufacturing base and sales and marketing operations in Southern Ontario. The company expects to create over 100 high tech jobs over the next five years. The second firm is Squamish, BC-based Carbon Engineering (CE), founded in 2009. CE’s primary business is ‘Air to Fuels.’ This technology extracts carbon dioxide from Earth’s atmosphere and combines it with hydrogen to synthesize currently-used transportation fuels such as diesel, gasoline and Jet-A. Because Air to Fuels uses hydrogen produced with renewable energy as well as existing atmospheric CO2, it is a means of mass producing fuels for existing infrastructure with little or no fossil carbon emissions. CE’s MDA alumni include former MDA CEO Dan Friedmann, who now acts as CE's chairman of the board and former MDA SVP of strategic business development Steve Oldham who, as outlined in the January 11th, 2018 CE press release, "Carbon Engineering Announces Leadership Transition," took over as CE's chief executive officer on February 5th, 2018. Parallels can be found between MDA and another former Canadian tech giant; Blackberry, formerly Research in Motion (RIM). Just as RIM’s decline and various bloodletting's freed vast amounts of technical talent to launch new innovative firms, so to has MDA’s decline seeded new players. United States trade representative Robert Lighthizer looks on as President Donald Trump signs an executive order at the White House in January. The March 12th, 2018 Toronto Star post, "Trump exposes free trade as a failed policy for Canada," is a reminder to all Canadian's, especially our space agency (with its preference for building components used by the space agencies of other countries but with no interest in developing complete programs of specific use to Canada), that we might want to broaden our capabilities if we don't want to be left behind. Photo c/o Doug Mills / NYT. Out of its decline, Canada’s tech sector could prove to be a Phoenix rising from its own ashes. As Canada is under threat of being discarded by its old ally to the south and facing an uncertain new world, Canadians can take comfort in the fact that we can adapt...when we choose to. But much work lies ahead. The US Federal Communications Commission (FCC) has accused Silicon Valley, CA based Swarm Technologies, a communications start-up co-founded by four expatriates, including Canadian born CEO Sara Spangelo, with launching four "unauthorized" and "dangerous" experimental satellites into orbit in January 2018, shortly after the company had been denied an FCC launch licence. Not to fear. It's unlikely anyone will end up in jail over this. With a bit of luck, it might even help define and develop some needed new legislation in this area. Swarm Technologies CEO Spangelo's April 24th, 2017 astronaut candidate profile on the Canadian Space Agency's (CSA) website. Spangelo applied, but was not accepted, to be a Canadian astronaut during Canada's fourth astronaut recruitment campaign in 2016-2017. Graphic and photo c/o CSA. As outlined in the March 9th, 2018 IEEE Spectrum post, "FCC Accuses Stealthy Startup of Launching Rogue Satellites," the FCC never approved the January 12th, 2018 launch of the tiny, Swarm built SpaceBee-1, 2, 3, and 4 pico-satellites on the Indian Polar Satellite Launch Vehicle (PSLV) rocket which blasted off from India’s eastern coast that day. The pico-sats (built to a 0.25U cubesat form factor design) are considered extremely small and very difficult to track. As outlined on the Gunter's Space Page listing for the SpaceBee-1, 2, 3, and 4, are the "world’s smallest two-way communications satellites" and are designed "to serve as a cost-effective low-data rate Internet of Things (IoT) network connectivity solution for remote and mobile sensors." ...the tiny satellites have very small radar cross section, which might complicate the tracking. Therefore they featured a GPS device in each satellite that would broadcast its position on request. Also the four smallest faces of the satellites are covered with an experimental passive radar reflector developed by the US Navy’s Space and Naval Warfare Systems Command, which according to the FCC application would increase the satellites radar profile by a factor of 10. Last Wednesday, the FCC sent Swarm a letter revoking its authorization for a follow-up mission with four larger microsats, based on the much larger 1U cubesat form factor, and expected to launch next month. A pending application for a large market trial of Swarm’s system with two Fortune 100 companies could also be in jeopardy. The March 7th, 2018 e-mail from Anthony Serafini, the chief of the FCC's Experimental Licensing Branch to Swarm employees postponing the second test of four larger swarm satellites in order to "permit assessment of the applicant's apparent unauthorized launch." The original rejection December 7th, 2017 rejection letter from Serafini, is available online at https://regmedia.co.uk/2018/03/09/swarm-fcc.pdf. E-mails c/o IEEE. As outlined in the March 10th, 2018 The Verge post, "The FCC says a space startup launched four tiny satellites into orbit without permission," Swarm’s launch seems to have been set up by Seattle, WA based Spaceflight Launch Services, a company which helps satellite operators find ride-shares to space for their vehicles. ...is allowed "to consider how a satellite will add to the space debris problem when issuing these licenses," (as per the August 31, 2006 National Space Policy). In fact, the Federal Aviation Administration has partial authority on this too when it issues licenses for commercial rockets. The agencies were given this authority mostly because they’ve been doing licensing for such a long time — and there was no one else to do it. Of course, no one is going to end up in jail over this. The Federal Aviation Administration (FAA) responsibilities in this area often overlap with the FCC responsibilities and there are also great gaps in the current legal coverage. The Trump administration has proposed a way to fix this, through the creation of a “one-stop shop for space commerce” at the US Department of Commerce, which would come up with regulations to oversee operations in space through its Office of Space Commerce. Time to send in the space lawyers. Here's hoping that they're not just a bunch of clowns. Editors Note: It took a bit of time, but the Swarm CEO finally came out with a public statement on her actions in the September 7th, 2018 The Atlantic article, "Launching Rogue Satellites Into Space Was a ‘Mistake.’"
The article quoted Spangelo as stating that, while her actions were a "mistake," others "have been granted applications after launching their satellites,” so her actions were also reasonable, under the circumstances. The article also noted that "it’s not clear whether the inquiry will result in disciplinary action against Swarm, and it’s even less clear what the nature of that would be. The agency is in uncharted regulatory territory." In essence, maybe Spangelo had a point. The June 18th, 2018 post, "Swarm Technologies Applies for Another FCC Satellite Launch Licence," strongly suggests that Swarm remains a viable and ongoing concern, despite any past mistakes. In July, Swarm applied for “special temporary authority” at the FCC, asking the agency for permission for Swarm to activate their three orbiting Spacebees and communicate with them. In late August, the FCC approved the request. 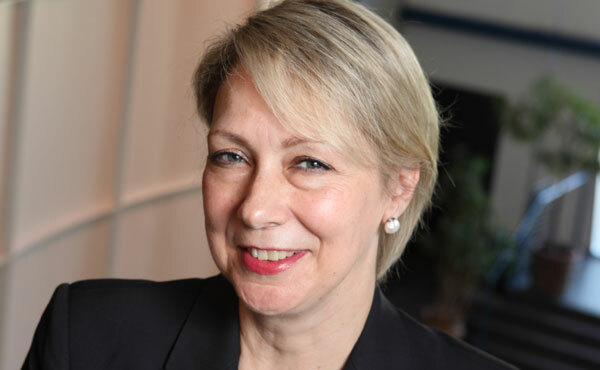 "I haven't read the story in SpaceQ," insists Marie Lucy Stojak, the chair of the Federal government Space Advisory Board (SAB) mandated by the governing Trudeau Liberals to help support the development of a new vision for Canada's space sector, "but we were certainly disappointed that space was not included as a key theme in the 2018 Federal Budget." Not feeling tense at all. SAB chair Lucy Stojak. Photo c/o Mosaic HEC Montreal. Stojak spoke with this blog over the phone on Thursday March 8th, 2018 to comment on the public release of an e-mail she originally sent out earlier this week to approximately 140 "stakeholders" who participated in a series of SAB meetings and consultations last spring. The data collected during those meeting was compiled into the August 17th, 2017 report, "Consultations on Canada’s Future in Space: What We Heard," and then released to the public. As you know, the Federal Budget was released on Tuesday, February 27, 2018. Needless to say that the Space Advisory Board (SAB) Members were very disappointed with Budget 2018 as it did not include funding to address a space strategy. We were hoping the Government would signal specific measures to advance long-term plans and priorities for Canada in space. Despite the lack of signal, Space Advisory Board Members remain convinced that Canada needs a vision and investments in space to meet national needs and fulfill its aspirations. Stojak and at least two other members of the SAB have confirmed to this blog that the e-mail does indeed reflect the beliefs of the board and that the original e-mail was sent out to those who participated in the SAB meetings held last summer. "It's not the first e-mail I've sent to the stakeholders," she said. According to Stojak and others, the e-mail was meant to be "public facing," although Stojak would not go into the details of how she felt about the SpaceQ post opening her e-mail up to a wider audience. "We recognize that the government does have priorities," she said. "But the SAB board report indicated that there was a need for an 'urgent call to action' to preserve and grow our space activities." The complete French and English texts of the March 2018 email sent by SAB chair Stojak to "stakeholders" who participated in a series of SAB meetings held between April 19th 2017 to May 21st, 2017. A list of participants at those meetings is included on SAB website. It's worth noting that Commercial Space blog editor Chuck Black was included in the list of participants involved in the May 18th, 2017 "WebEx on Canada’s Youth and Next Generation Space Leaders." Graphic c/o SpaceQ. The August 2017 SAB report made two central recommendations for consideration by Navdeep Bains, the Federal Minister responsible for Innovation, Science and Economic Development Canada (ISED), as he moved forward to develop the "new space strategy" promised by the Liberal government since the election which brought them to power in 2015. Canada has the specialized human resources required by government, industry and academia to conduct space activities. develop metrics for evaluation of the implementation of the Space Strategy. The second recommendation included a specific request from the SAB to remain engaged with stakeholders in order to provide the independent advice and metrics required to develop solutions to the problems outlined in the initial SAB report. Neither of those recommendations have so far been adapted by the Federal government. One of the issues noted by the SAB which still hasn't been dealt with. New North Networks CEO Tom Zubko attended the May 19, 2017 SAB webex focused on "The North and Canada’s Future in Space," and the minutes of the meeting note that "stakeholders would like to see the Government take action to address of the recommendations from the independent reviews of the Remote Sensing Space Systems Act, released in 2012 and 2017," but nothing has been resolved. As outlined in the March 5th, 2018 post, "That Commercial Ground Station Built by New North Networks in Inuvik Still Can't be Used," Zubko is still unable to move forward with his plan to provide local services to San Francisco, CA based Planet and Norwegian based Kongsberg Satellite Services (KSAT). Graphic c/o Commercial Space Media. Part of the problem, as outlined in the August 25th, 2017 post, "Space Advisory Board Report: "Sound and Fury, Signifying Nothing" Except that Board Members Want to Keep their Jobs," might simply be that SAB stakeholders and participants were discouraged from discussing specific policies or policy changes during the SAB meetings. At the request of the Justin Trudeau Liberal government, the SAB was specifically tasked to build a document to "inform," but not develop, define or create anything which could be mistaken for a new space policy or long-term space plan. This saddled the SAB with an inability to ask for concrete, definable improvements, unlike for example, the 2016 David Naylor led Review of Fundamental Science. As outlined in the February 28th, 2018 Globe and Mail post, "Basic science makes historic gains in research-friendly budget," that report is generally credited with driving a "research-intense budget that commits approximately $3.8Bln CDN spread over the next five years for a range of science programs." It's almost as if, had the SAB simply asked for money instead of respect (designating space as a "national asset," or requested "engagement," "independent advice" or the development of "independent metrics"), they would have been more likely to have received it. That's something to note for the next time. According to Stojak, "we are confident that the Minister (ISED Minister Bains) will continue to champion the space sector." Editors Note: In an interesting turn of events, and as outlined in the March 9th, 2018 Canadian Space Commerce Association (CSCA) e-mail, "Canadian Budget 2018-2019 Update," the CSCA has announced its disappointment over the 2018 Federal Budget. According to the e-mail, the budget "did not reflect the urgent need to develop a vision for Canada’s long term space strategy," although the organization remained "confident that a (space) strategy is forthcoming." That "historic" investment in hard science research and consolidation of programs in order to create "a more client-focused federal partner for business." As outlined in the February 28th, 2018 Globe and Mail post, "Basic science makes historic gains in research-friendly budget," the 2018 budget allocated $3.8Bln CDN of new funding spread over the next five years to a range of science and academic programs and promised the substantial consolidation of Federal granting programs, down to thirty-five from a pre-budget total of ninety-two. $572.5Mln over five years, with $52Mln per year ongoing, to implement a Digital Research Infrastructure. A “re-imagined” National Research Council (NRC) with additional funding ($540Mln over five years, starting in 2018–19 and $108Mln annually) for measures to "reinforce its research strengths and role as a trusted collaboration partner of industry." New funding ( $20.6Mln over four years, starting in 2019–20 with $5.1Mln per year ongoing,) for the POLAR Knowledge Canada program. In a related matter, and as outlined in the second March 9th, 2018 CSCA e-mail, "CSCA Seeking New Executive Director," the CSCA has announced the resignation of CSCA executive director Michelle Mendes, effective March 31st, 2018. Mendes is a member of the same Federal SAB chaired by Stojak. She will continue as a member of the CSCA the Board of Directors and retain her position as CSCA president, "for the time being" and as her time allows, according to the e-mail. As of Monday, March 12th, 2018, Mendes has not resigned from the SAB.